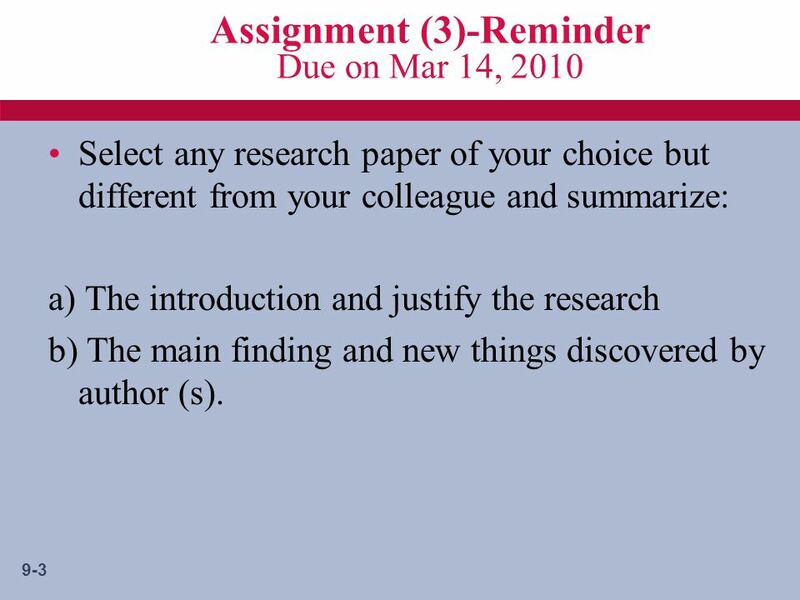 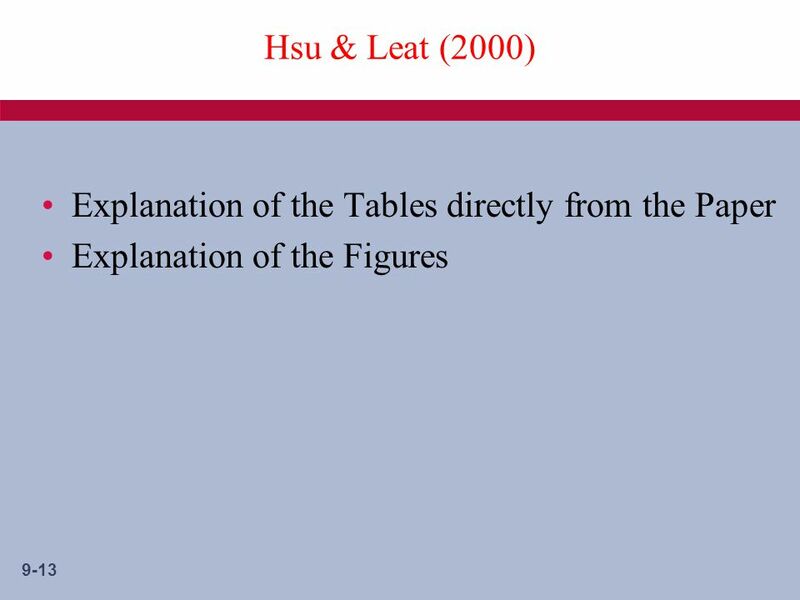 3 9-3 Assignment (3)-Reminder Due on Mar 14, 2010 Select any research paper of your choice but different from your colleague and summarize: a) The introduction and justify the research b) The main finding and new things discovered by author (s). 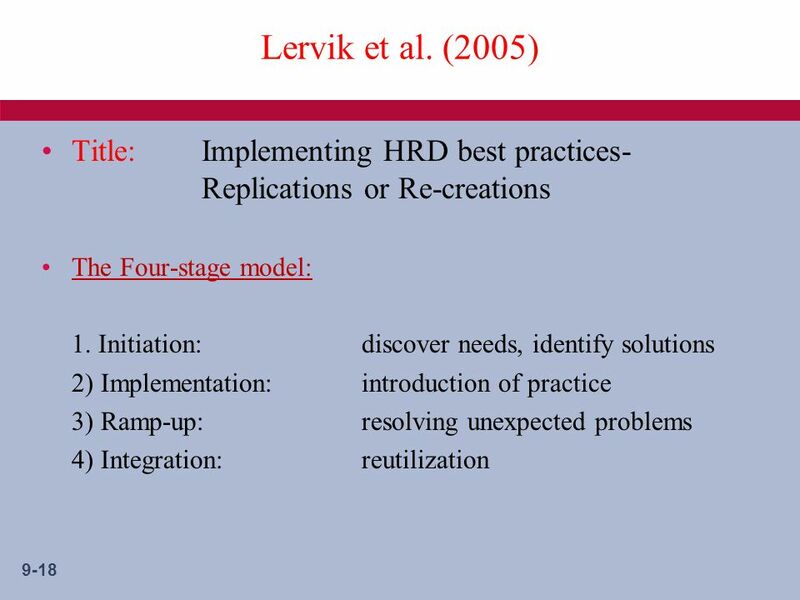 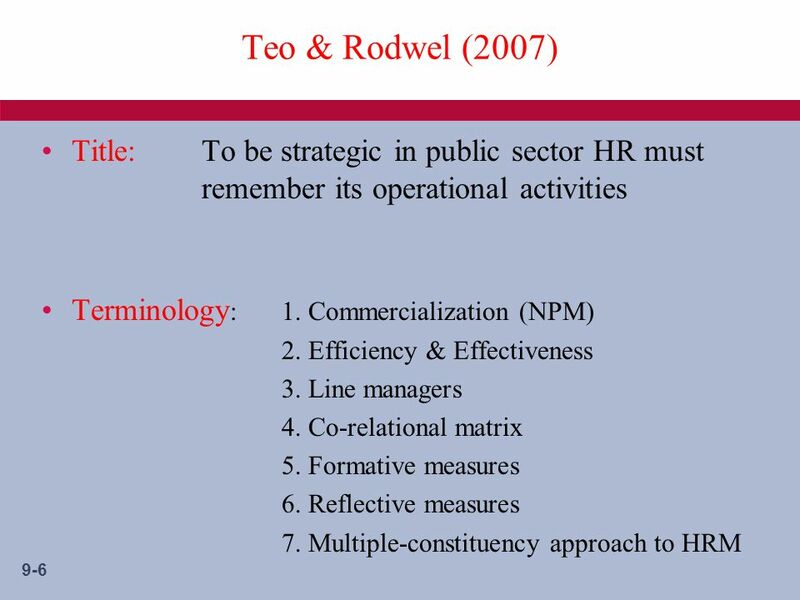 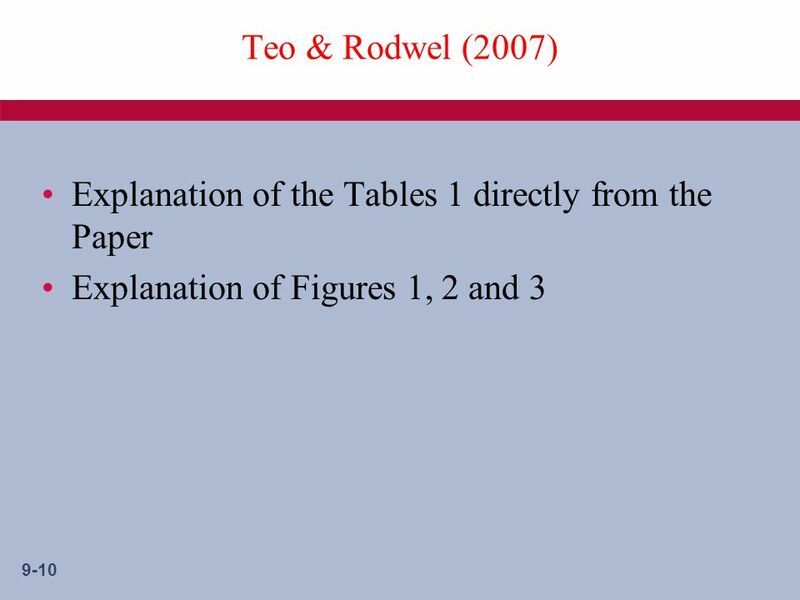 9 9-9 Teo & Rodwel (2007) Strategic Involvement not related to Performance The data supports the multiple-constituency approach to HRM The study highlights challenges faced by HR practitioners needing to be operational, to be valued strategically. 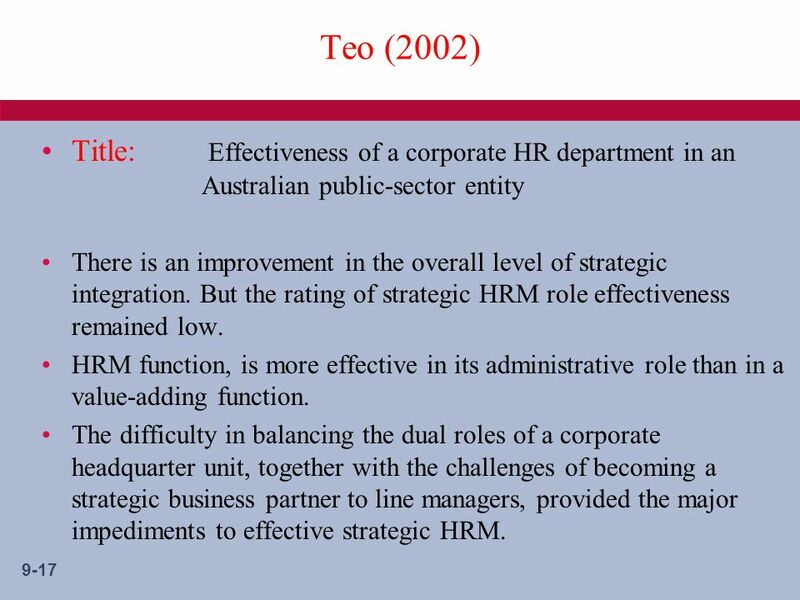 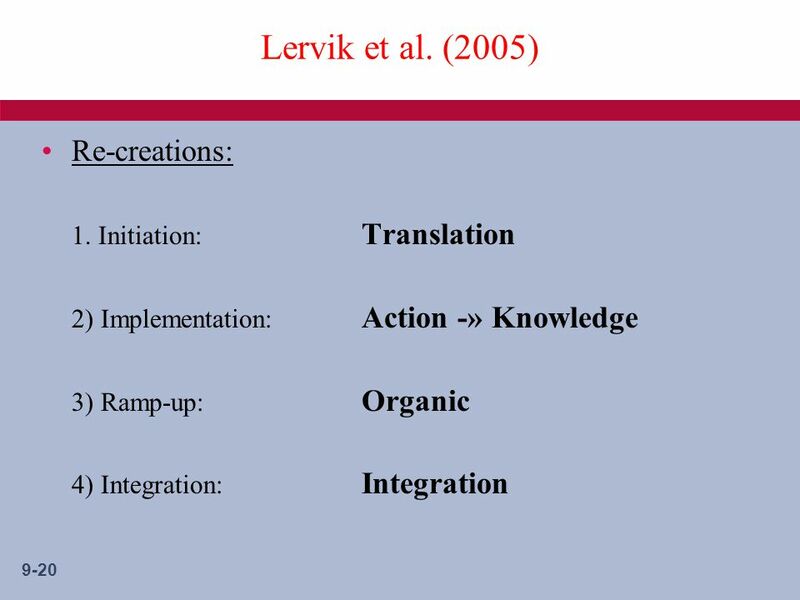 17 9-17 Teo (2002) Title: Effectiveness of a corporate HR department in an Australian public-sector entity There is an improvement in the overall level of strategic integration. 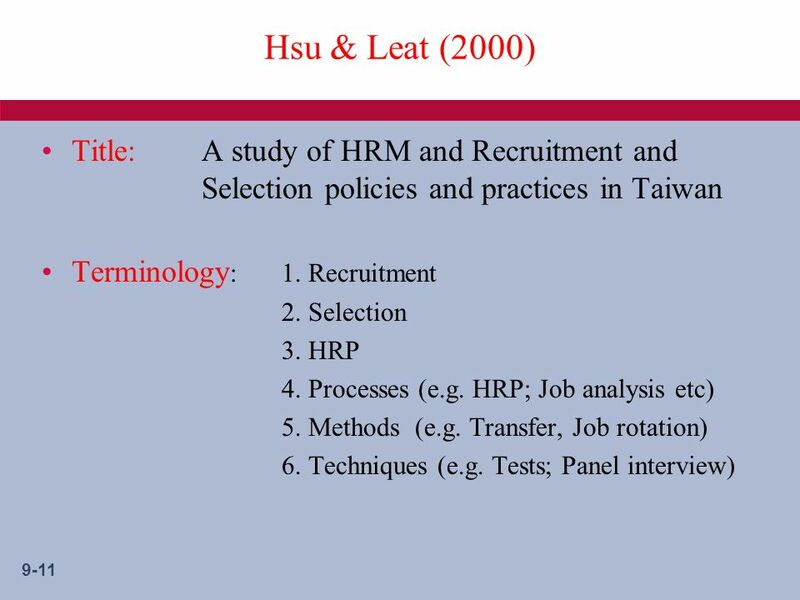 But the rating of strategic HRM role effectiveness remained low. 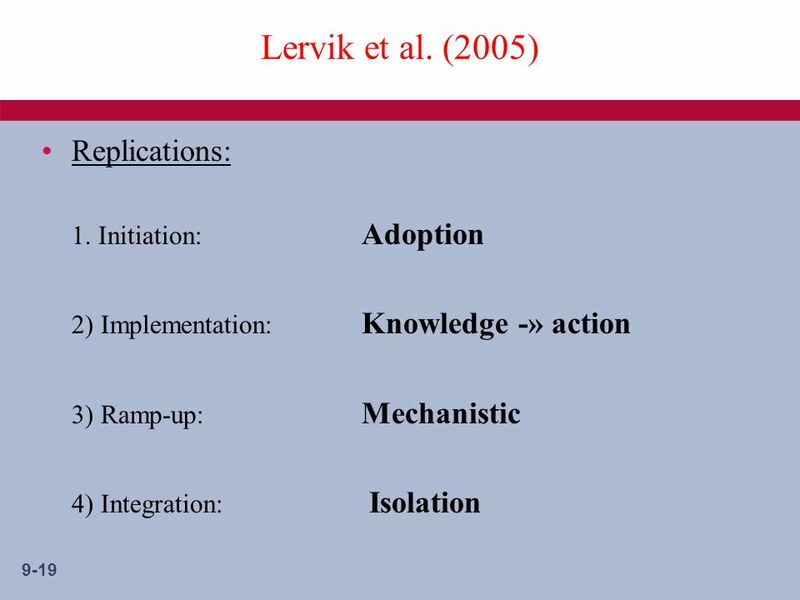 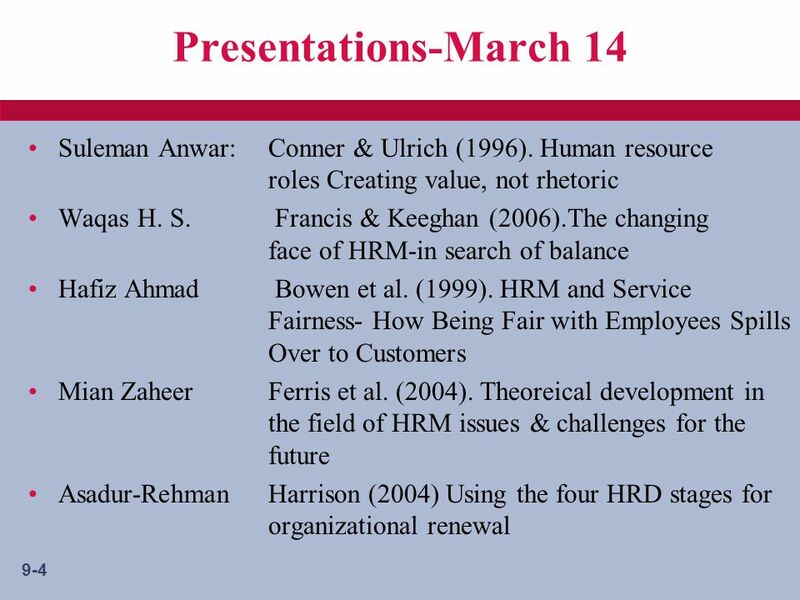 HRM function, is more effective in its administrative role than in a value-adding function. 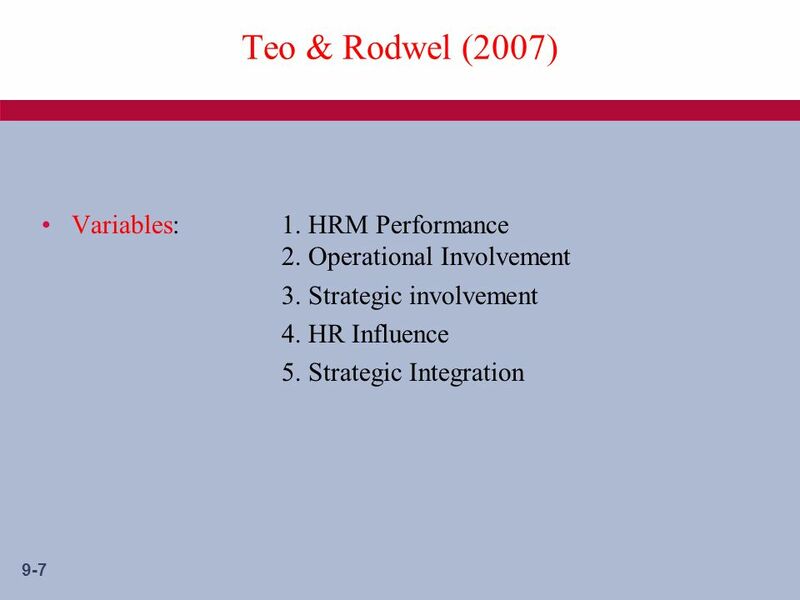 The difficulty in balancing the dual roles of a corporate headquarter unit, together with the challenges of becoming a strategic business partner to line managers, provided the major impediments to effective strategic HRM. 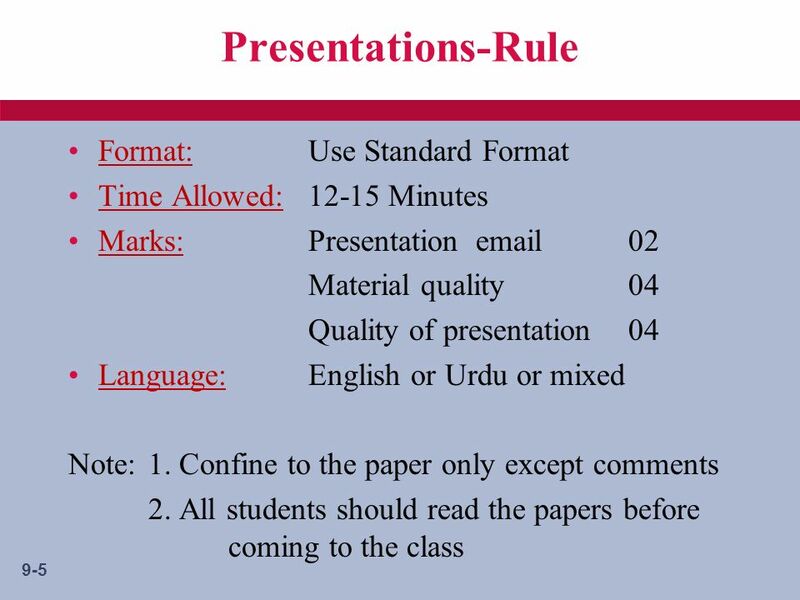 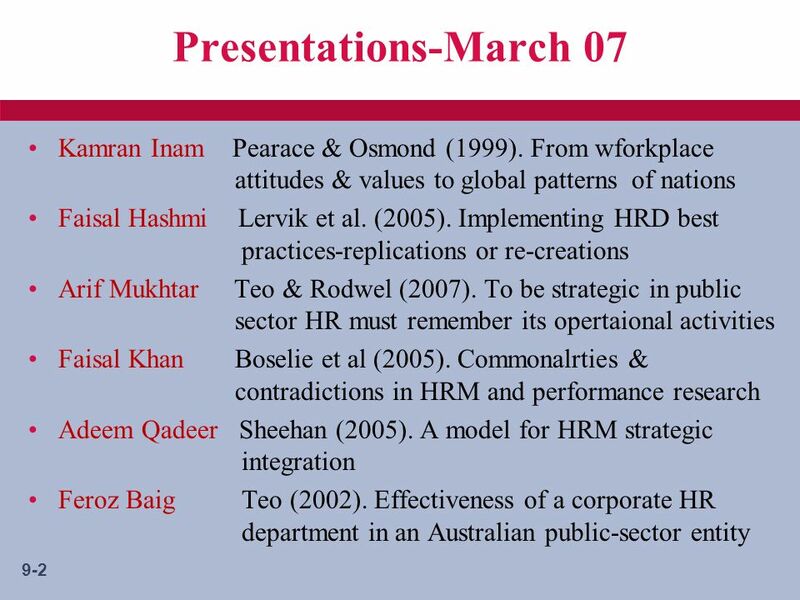 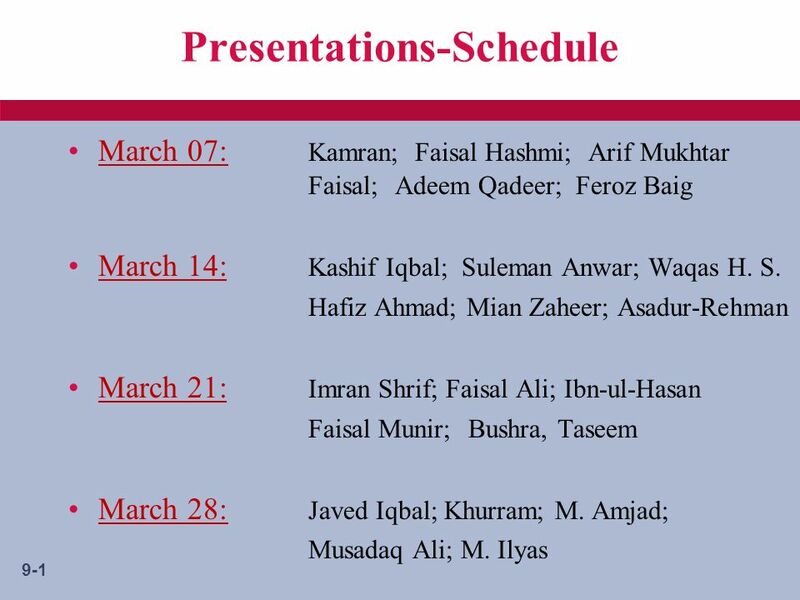 Download ppt "9-1 Presentations-Schedule March 07: Kamran; Faisal Hashmi; Arif Mukhtar Faisal; Adeem Qadeer; Feroz Baig March 14: Kashif Iqbal; Suleman Anwar; Waqas." 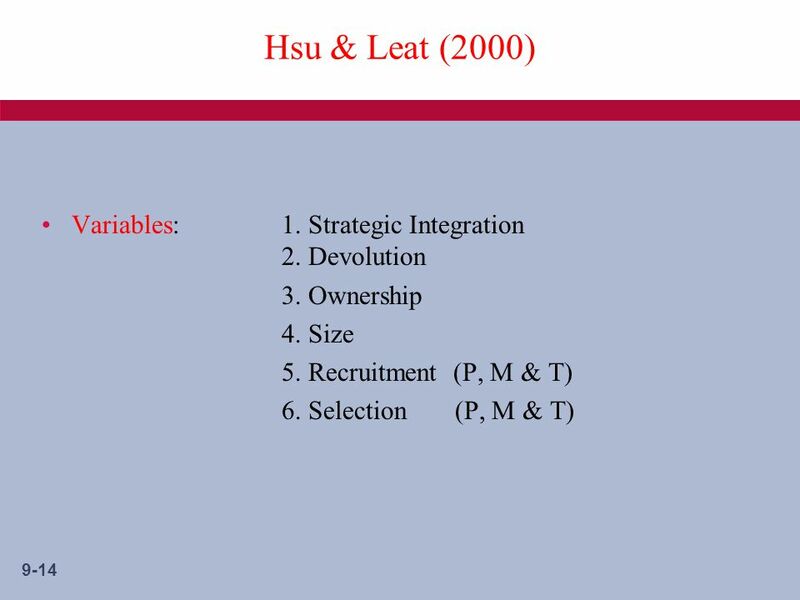 1 National Center for the Training of Bank Personnel of Ukraine.